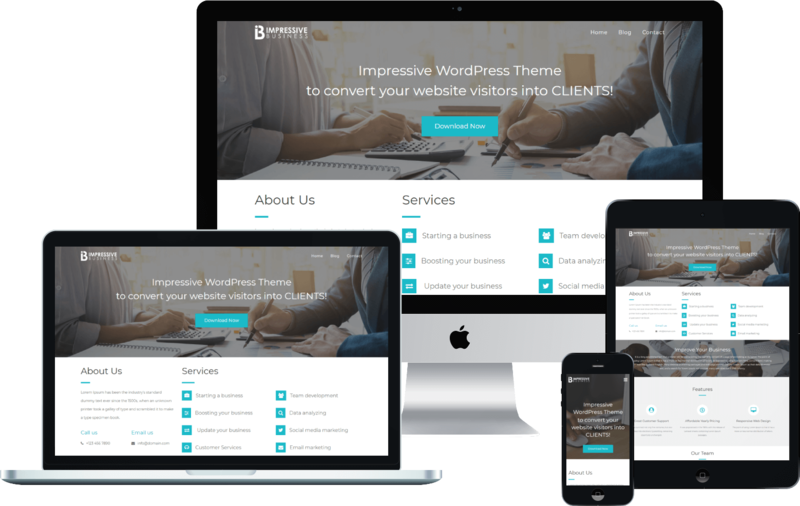 Impressive Business is a lightweight, fast, clean and super flexible bootstrap based responsive theme. With this theme you can create your own website for your business. Impressive Business WordPress Theme is 100% Mobile Responsive.. Impressive Business theme provides modern design and look stunning and impressive.